Danette started her insurance career with PayneWest Insurance in January of 2002. Danette’s specialty is large, complex business accounts. Danette is passionate about insurance and education in an ever-evolving industry. In February 2008, she completed a series of five courses to earn her the Society of Certified Insurance Service Representatives (CISR) designation. Danette’s extensive customer service background combined with her prompt, professional service makes her the perfect fit for her role as a business insurance customer relations specialist. Danette is the proud mother of three children. Her passion is spending time with her family. Danette enjoys traveling and seeing new places while meeting new people. PayneWest is beyond grateful for our committed colleagues and we glad to have Danette as a part of the PayneWest family. 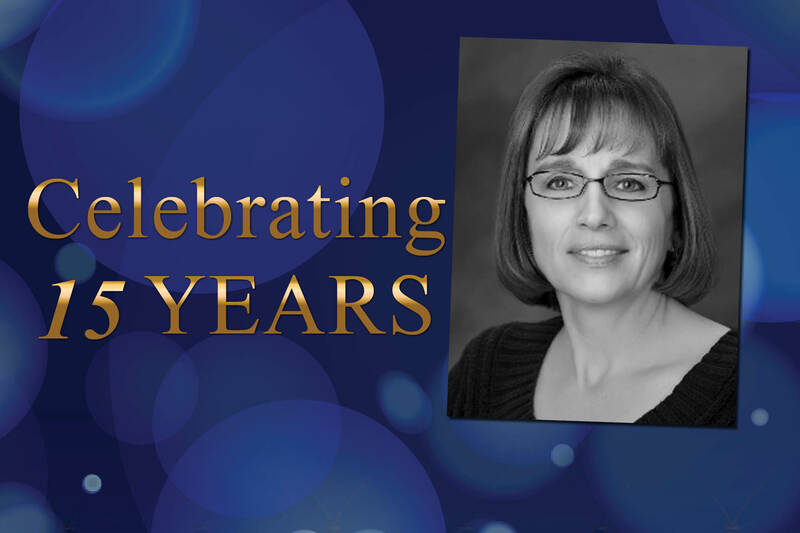 Congratulations Danette on your 15-year anniversary and we look forward to many more. You can contact Danette Gustin at (406) 869-4446 or by email at DGustin@PayneWest.com. Find all of us at PayneWest.com/Directory. PayneWest Insurance is the Northwest’s premier insurance agency. Operating independently since 1921, PayneWest Insurance provides business and personal insurance, employee benefits and surety. Today, PayneWest is ranked in the top 50 U.S. Brokers by Business Insurance in 2016. Driven by their commitment to serve their clients, colleagues and communities, they have 30 offices throughout Washington, Idaho, Montana and Oregon. PayneWest employs nearly 700 insurance professionals including teams that specialize in highly complex market niches such as agriculture, construction, hospitality, banking, medical malpractice and resource development.